From all the hype, Orlen as a sponsor is near non-existent from those pics. from our 2 leading designers that is why i think they were sacked. 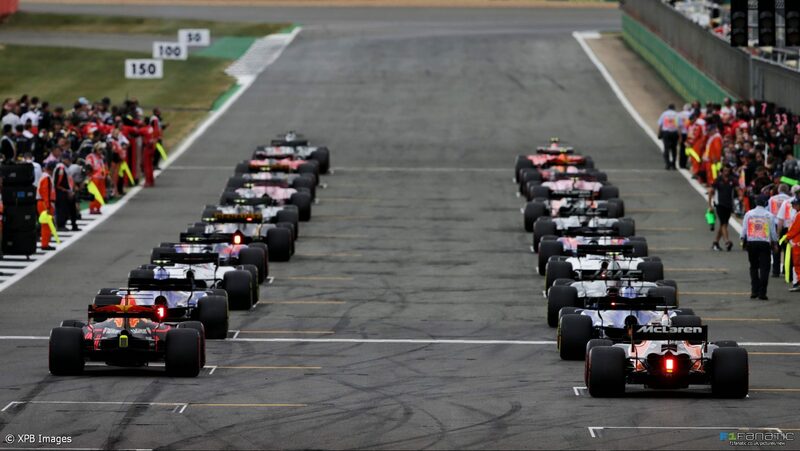 Over the 2018 period Williams have now resolved and said that the data to track correlation should be much better. In only 3 weeks time we should have a clearer idea. Edited 3 time(s). Last edit at 30/01/2019 08:42 by GPL. 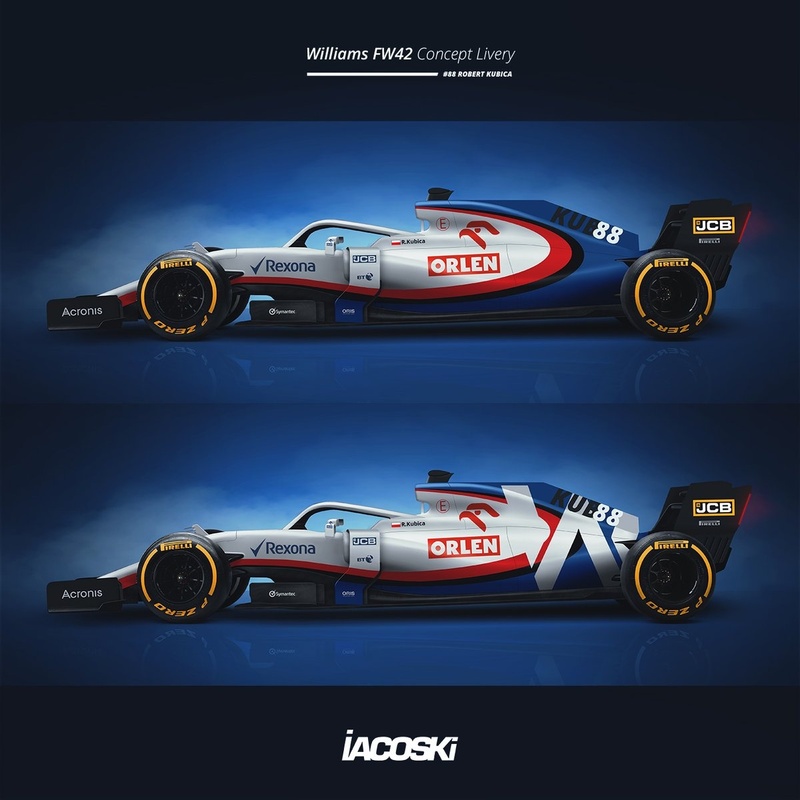 Who is the lead designer of the FW42? Cant imagine this being Paddy. Same was said about FW41 by a much more experienced driver (Massa).All these predictions are 50-50, nothing more. But we are approaching 2019 season differently now arent we? If the numbers look good then I'm assuming extra care was taken of not repeating the mistakes of the FW41 and that alone would make current predictions hold a lot more weight as to what Massa was saying back then. That's more like it and what I was expecting. Actually, that's a very good place to place your ad, if you're sponsoring a midfield team. Good idea from Orlen. '17 to 18: Massa was driving the car whole season, had a good idea which numbers should improve.Kubica doesn't with limited time in the car. '17 to '18: It was the same aero set, an evolution so you had a base to compare new design with.Next season cars are new with different downforce levels. That said, if his prediction turns to be right, it doesn't mean he's a genius, if it doesn't it won't mean he's an idiot cause this is not his job to read through the numbers and predict. What is actually the main thing is colleration issue to be improved.Otherwise cfd/wind tunnel numbers are always encouraging. But they are not his predictions. He said that the team is happy with the numbers so I'm guessing that they did whatever they could to minimize the possible correlation woes this season. Just 19 more days and we will know what Paddy & co. came up with. I'm cautiously optimistic. Edited 1 time(s). Last edit at 30/01/2019 14:28 by ihme. Unfortunately we've always been happy with the numbers in last few years...so this time I really want to stay as pessimistic as possible. Specially this season, it's very hard to read anything meaningful through the talks of drivers/engineers. Some (like RBR & Ferrari) claim they're back to '18 downforce levels on their new car by the end of summer and then some others (Force India & Renault) claim the gap to the '18 numbers are big! The placement is fine. The rear of the car will be showed pretty regularly in the beginning of the season, photos will be taken. Also their logo will be on the team overalls and drivers' helmets too. SMP had less exposure for more money. This kind of picture is shown very often, just before the start of the race in TV transmission, or later in some images. 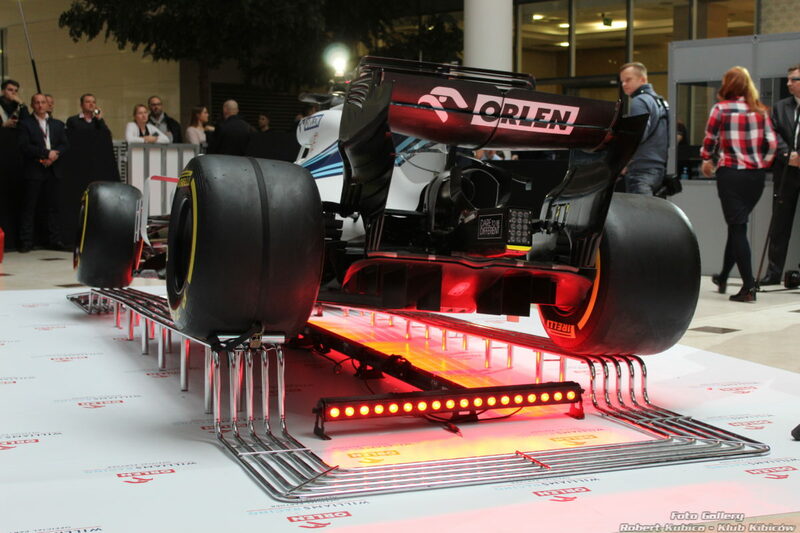 So if Williams is in the last row, the logo placement for Orlen will be very good. Probably the best chance for their logo to be seen the whole race actually. Edited 3 time(s). Last edit at 30/01/2019 21:24 by Anderis. "The situation of Williams is not easy. I’m very cautious and realistic," Kubica stated at a recent sponsorship event in Poland. "In winter every team is building a new car. We are also building a new car, we're finishing its production." I still feel an early shakedown. Only 2 weeks to go now. Things should start hotting up next week.